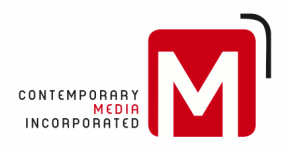 Jobs - Contemporary Media, Inc.
We produce Memphis' best local content in our legacy print and digital products: Memphis magazine, The Memphis Flyer, Memphis Parent, and Inside Memphis Business. We craft that content for every medium: web, print, email, tablet, and social media. ​This position is responsible for building and leading a high-performance sales team, with upwards of four sellers – and for providing comprehensive marketing solutions for our loyal advertisers while finding fresh solutions for new Memphis Flyer clients. The successful candidate will first and foremost be accountable for the revenue goals for the Memphis Flyer. These goals will be determined in collaboration with senior management. He/she will ensure that the Flyer sales team meets and/or exceeds revenue expectations, in print, digital, and with our events. He/she will maintain a high awareness and understanding of the division’s revenue responsibilities, as well as awareness of the day-to-day performance of the team toward the Flyer’s goals. The successful sales manager candidate will provide both long- and short-term direction to the Flyer sales team, working closely with staff members, providing hands-on support where and when needed, and assisting, in person and behind the scenes, with the enhancement of existing account relationships. He/she will maintain an active list of accounts of his or her own, meeting monthly sales goals while always working to ensure the success of the team’s sales goals as well. He/she will lead, and sell, by example. The successful candidate will maintain the Memphis Flyer House account list effectively. He/she will understand how the Flyer can best serve the interests of every potential client. He/she will be very familiar with the local media scene, and well versed in the particulars of print, digital, and event marketing opportunities in the Memphis Flyer. Experience: 5-7 years’ experience in this or an adjacent industry; experience selling, ideally selling media; experience managing a team. Bachelor’s degree or higher. To apply, please send resume, cover letter, and any supplemental materials to freshstart@memphisflyer.com.